Once I get into a certain food mode it’s nearly impossible to get myself out of it until I’ve hit the spot. So, when my husband’s gig at a local Greek restaurant was postponed because of Austin Snowpocalypse 2014, there was no way I was going to be able to cope without baked feta in my life. So, it was time to come up with my own recipe. This is going to be my go-to for the next party we go to for sure. Yes, I show affection by bringing people cheese. Preheat the oven to 350 degrees. Slice the cherry tomatoes in half and mix the tomatoes, a drizzle of olive oil, garlic, oregano, and black and crushed red pepper to taste in a bowl. 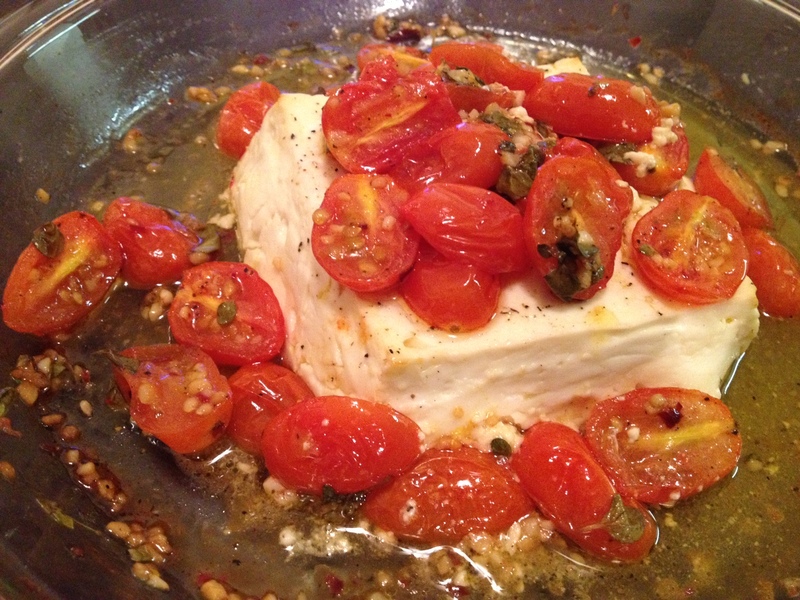 Place the feta in an oven safe dish (we used a pie pan), drizzle with olive oil, and sprinkle with black pepper. Pour the tomato mixture on top and back for 30 minutes or until the cheese has softened and the tomatoes have roasted. Serve with crackers or bread and enjoy! Oregano is a super versatile herb to consider for a home garden. It is about as easy to grow as basil with full sun and weekly watering. 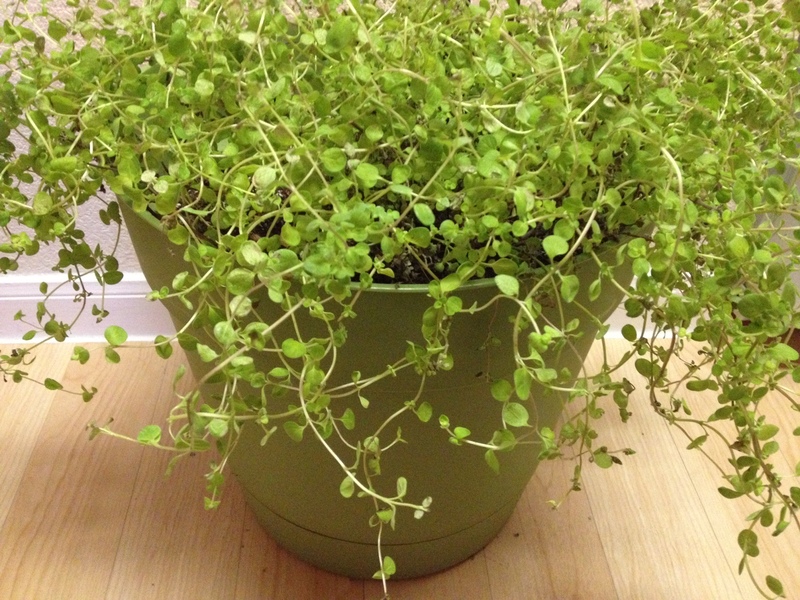 Taking clippings from oregano encourages it to grow, so this is a “use it or lose it” kind of herb. This is a fun one to grow at home because it can grow into a nice big bush. The one pictured started in a 4 inch pot and is now filling a 7 gallon container. As a bonus, if you live in a cold climate and have an outdoor garden, it can winter over, meaning it will come back the following year if you just leave it outside. This is a great herb to toss into just about any Italian or Greek dish and the plant smells fantastic. This looks amazing, though I don’t know how peppers in any form can be “optional” 🙂 , I will be giving this recipe a try.